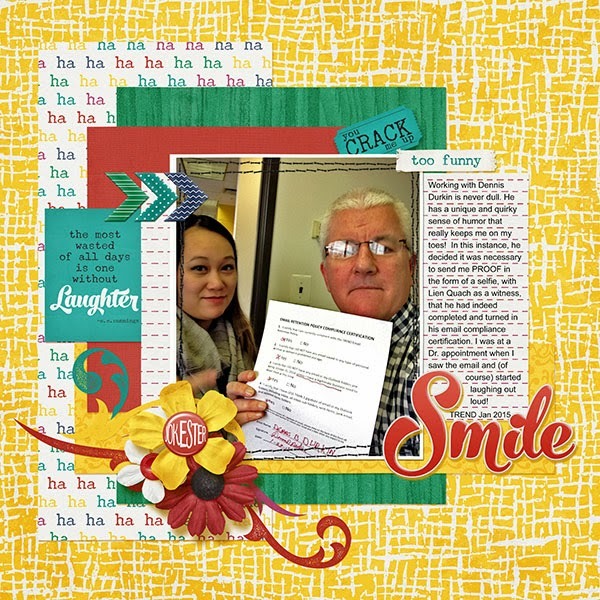 a fun page about a silly co-worker using Krystal Hartley's collab kit "The Joke's On You". found at Sweet Shoppe Designs. An art journal/vision board style layout from scratch using a lot of Pinterest inspiration for my OLW "Thrive"
When things get too crazy, I resort to a simple quick page. 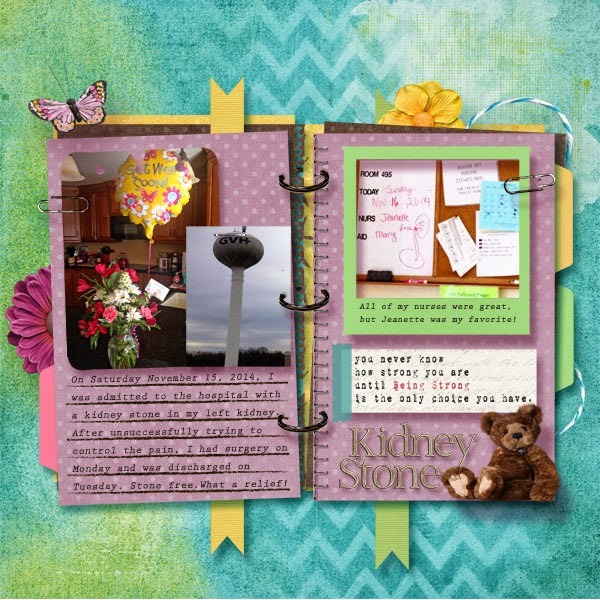 All I had to do was drop in and resize the photo and add journaling to the journal card. 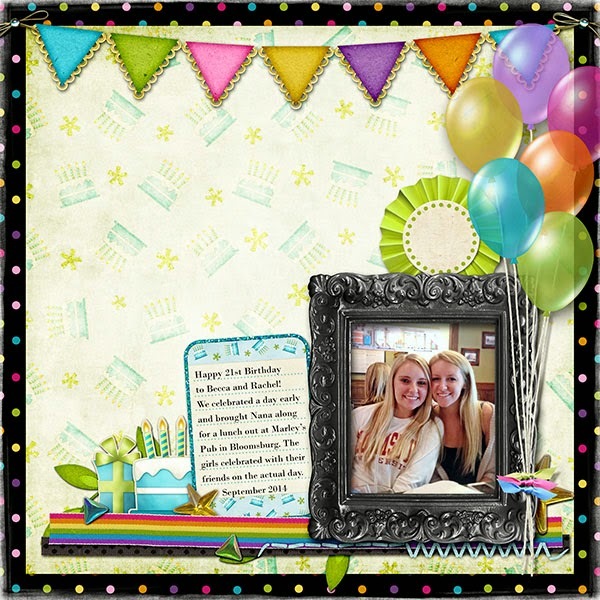 This one is "Birthday Bash" by Miki Ferkul - Studio Miki at ScrapbookGraphics. Another one from scratch with elements from various designers. I can't wait to see how that water splash element coming off the photo and onto the background page prints out... thought up using the element that way all by myself! Documenting the recent hospital stay. 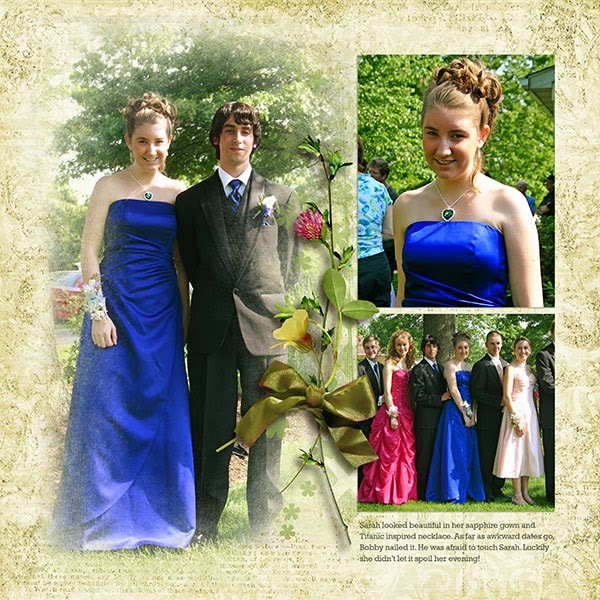 All of the page elements here and the Journal Template are from Kimeric at the DigiChick. Another Quick Page template from Sue Cummings at O'Scraps. This one is from 2011... I've really been digging through some old stash! 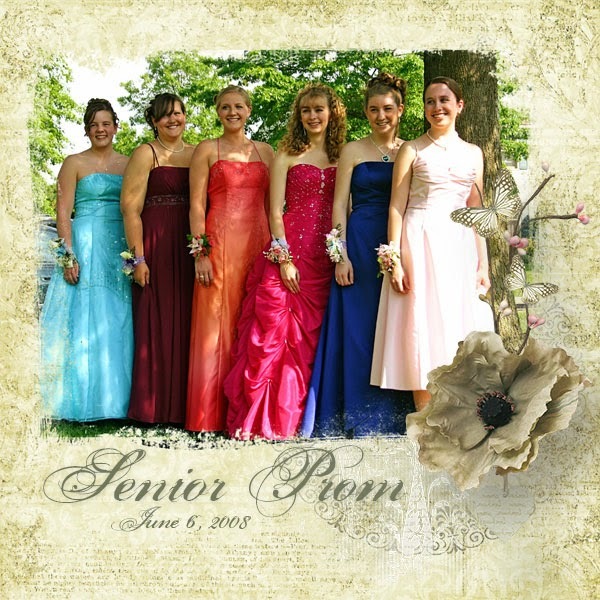 And finally, in a bit of a throw back to another time... Sarah at her high school Senior Prom. 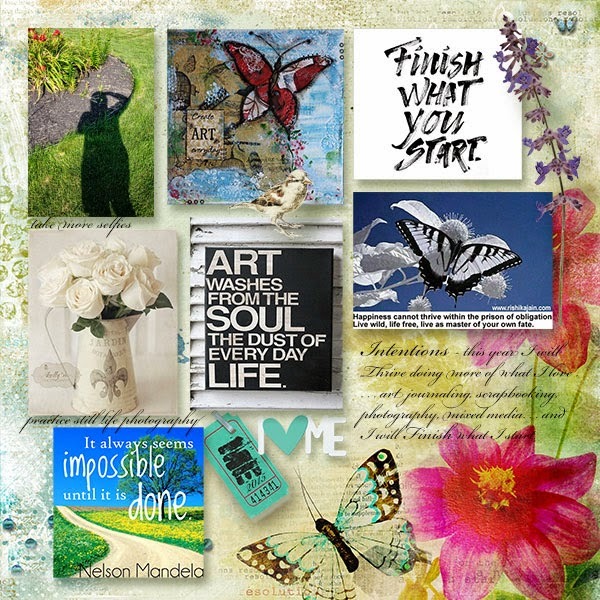 Both pages start with Blended Templates from Studio Rosey Posey at ScrapbookGraphics which I then tweak to fit my needs. This one is from Blended Template Bundle 12. This one is from Blended Template Bundle 15. I seriously love working with these templates so much, I'm surprised I don't own a lot more of them! Sarah has already graduated college and been in the working world nearly three years now. Much to her chagrin, she doesn't look any older than she did in these photos! Some stunning pages,Cheri....I really love the beach one. Oh, I love that wave breaking over the page. Great idea. There's a bevy of beautiful babes at the ball! Each page has its own beauty; I do admire your splash! Oh wow! 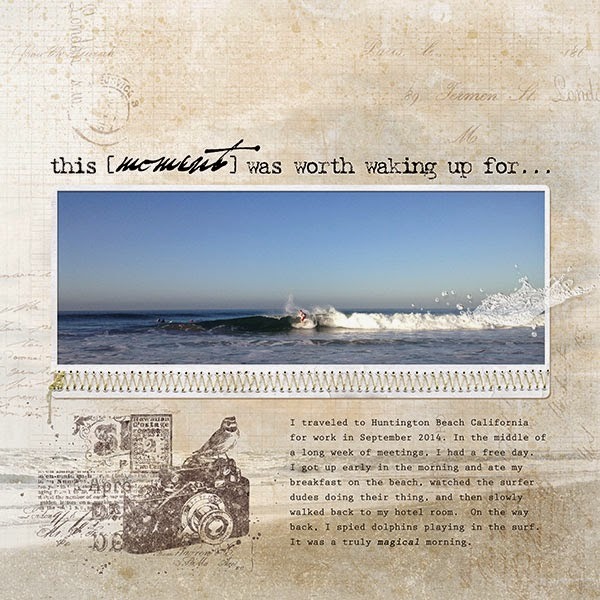 I just LOVE so many of these pages---the OLW, the beach, Favorite Things, and of course, those gorgeous kids on the last layout! What a great bunch of creativity!! I like that happy quick page for the birthday, but I think my favorite of these is the one with the wave! Gorgeous pages, a simple QP is just the thing in a rush for LOAD I'm sure. What a cool effect that wave embellishment gives to that photo.